Two things I like to do when I arrive in a new city are to view it from up high and to view it from the water. 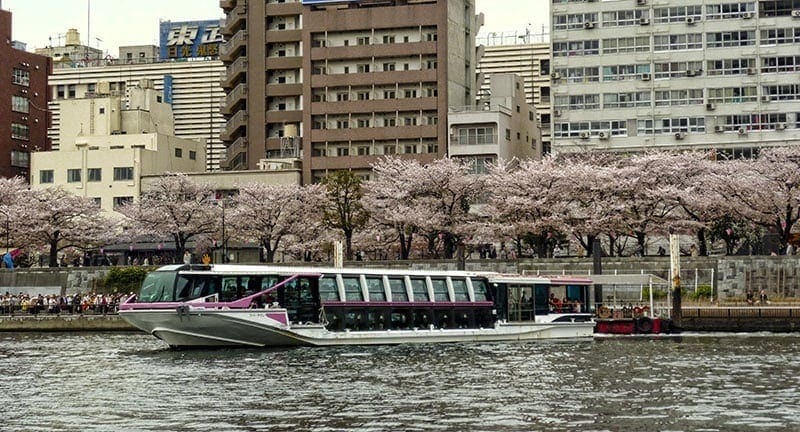 In Tokyo a range of interesting river boats run up and down the Sumida river between the Hamarikyu gardens at the mouth of the river and Tokyo’s most traditional district, Asakusa. The cruises are run by Suijobus and their site has English information. We discovered the cruise when we wandered down through the Hamarikyu gardens in the Chuo district of Tokyo after a morning visit to Tsukiji. Tsukiji is the home of the famous Tokyo fish markets and a place to eat some really excellent sushi. You buy tickets to the river cruise for Y780 at the Hinode pier before boarding the boat, there isn’t a lot of English information but it’s easy enough to get the right ticket and board without any problems. I really wanted to get the futuristic looking boat below but we ended up on a more retro styled one which in hindsight was a bonus as we were able to stand on the back of the boat in the fresh air. 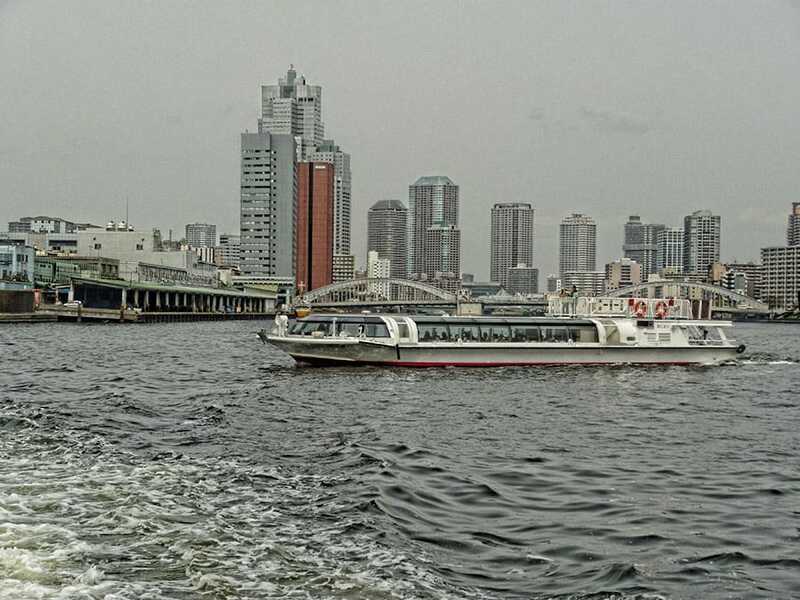 The full trip up the river to Asakusa takes 40 minutes and gives an interesting perspective on the city including the 13 bridge crossings along the way. We did the cruise on our first springtime visit to Tokyo and it was a bit of a grey morning which made our photos of the buildings and water a bit dull. The grey was more than made up for though by the splashes of intense cherry blossom along the river banks and in the parks we spotted along the way. If you had the opportunity to do the trip on a clear day with the water sparkling that would be really stunning too. We did note that the direction we did the trip worked well, the boat was quite empty going up but there were multiple bus tour groups waiting to board at the Asakasa end when we got off. If you haven’t had the chance to explore Asakasa yet this would be a good chance to do it. Don’t miss Sensoji, a very popular Buddhist temple with a history dating back to the 7th century, the Nakamise shopping street that leads up to the temple with lots of small stores and some interesting snacks to purchase. As you wander through the surrounding streets the area has a feeling of a bit more history than most of Tokyo, during the Edo period it was a popular entertainment district and some of that feel remains. There are also many options for a tasty and reasonably priced lunch around here. I’d recommend the cruise if you like to get a feel of a city from the water and as a more scenic way to make your way back across the city. Have you used a harbour or river cruise to get your bearings in a new city? 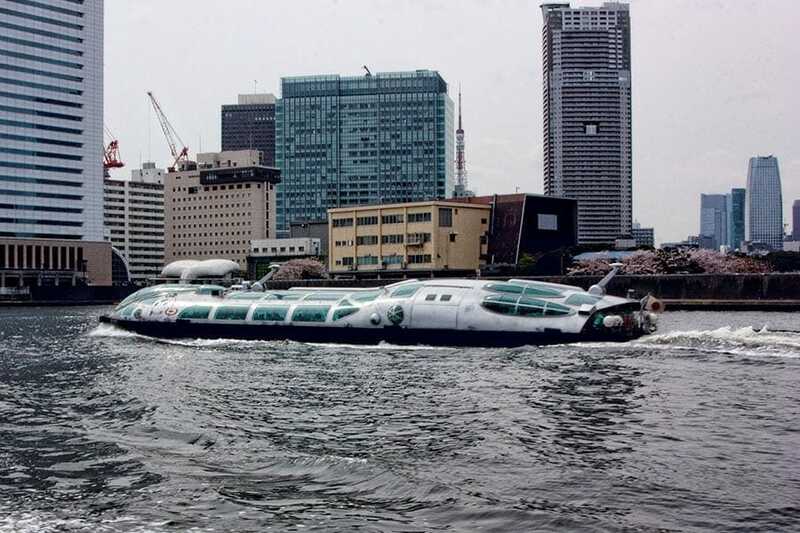 If you’ve done one of the Tokyo river cruises what did you think? Hi Lee, you can buy tickets from them at the Hamarikyu gardens stop, we found this the most convenient starting point from where we were that morning, it was a good length trip from there and gave plenty of great views from the river. If you want instead to do the full route that begins at Hinode Pier and you can also buy tickets there.